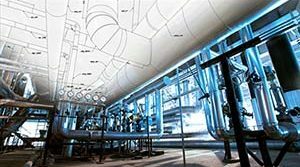 Constant Effort Supports for Generating Facilities | Piping Technology & Products, Inc. 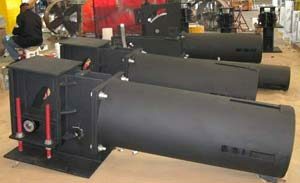 Piping Technology & Products, Inc. has designed and built thirty-two constant effort supports ranging in loads from eighty to eighty-seven kips with seven and one half inches of total travel on each.Six of the thirty-two are shown in position and they will support critical portions of the heater. 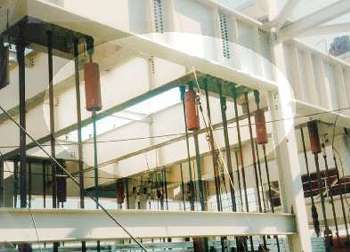 The balance in other parts of the plant will support equally critical lines such as main steam and boiler reheat. Located near Calvert, Texas, this is the second generating facility for Texas – New Mexico Power at this site. 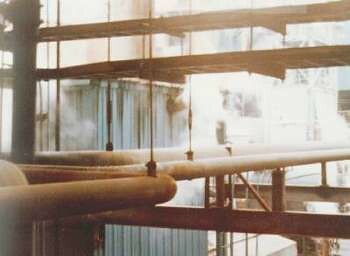 Piping Technology & Products, Inc. supplied the same material on the previous installation for this client. Learn more about our constant supports, visit the webinar archive today!